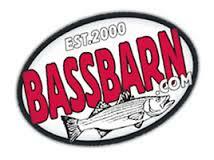 Get two free Bass Barn Stickers. Complete the form and answer the anti-spam question. Answer to the question is STRIPED BASS!